The villa is very cool. The ladies are super nice. Staff very friendly. The villa is amazing and the private swimming pool is nice. The staff at the villa were so helpful, even down to when we arrived on Gili someone came on a bike to assist with our heavy luggage and direct us to the villa. we took the villa with private pool. All rooms was spacious with our own bathroom. They also provide bicycle renting from the villa that help ease our movement in the island. The staff were all brilliant and so helpful, breakfast always on time and laid out well. Hosts were really attentive, and very friendly, they made us feel very welcome from when we arrived,the room was also very clean! the younger man with the cap was extra helpful and made our stay. Lock in a great price for Little Coco Gili Trawangan Villas - rated 9.1 by recent guests. One of our top picks in Gili Trawangan.Situated in Gili Trawangan, Little Coco Gili Trawangan Villas offers accommodation with a private pool and free WiFi. 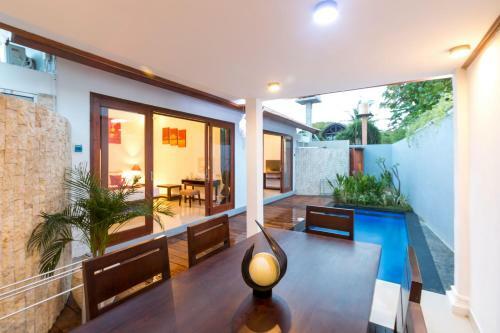 This villa features an outdoor swimming pool. 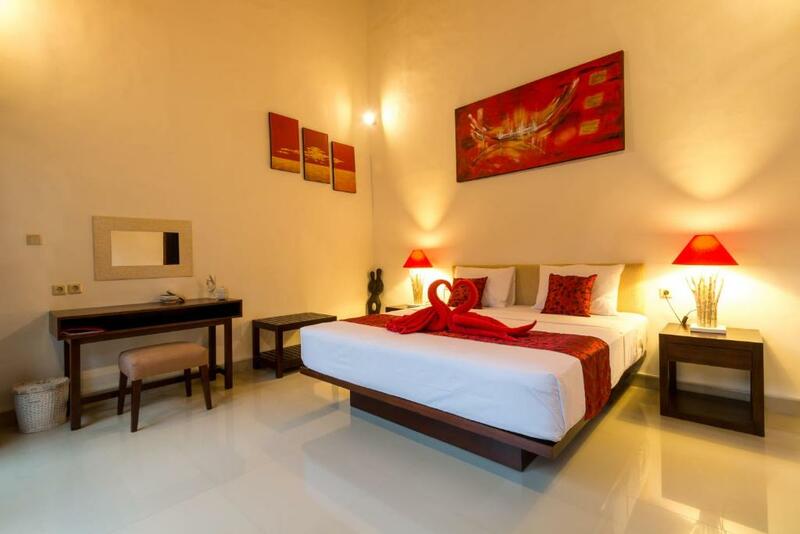 Boasting pool views, the villa comes with a flat-screen TV with satellite channels, air conditioning, a seating area, a desk and 1 bathroom. Guests wishing to travel lightly can make use of towels and linens for an additional supplement. Guests at the villa can enjoy a continental breakfast. 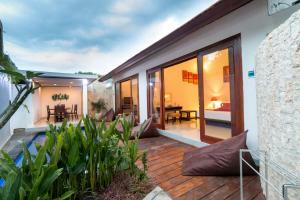 Little Coco Gili Trawangan Villas offers a terrace. Guests can also relax in the shared lounge area. Gili Trawangan Art Market is 200 yards from the accommodation. This property is also rated for the best value in Gili Trawangan! Guests are getting more for their money when compared to other properties in this city. 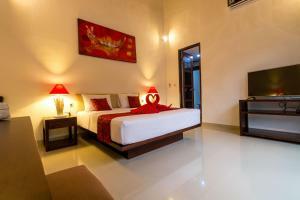 Little Coco Gili Trawangan Villas has been welcoming Booking.com guests since 31 Aug 2016. When would you like to stay at Little Coco Gili Trawangan Villas? 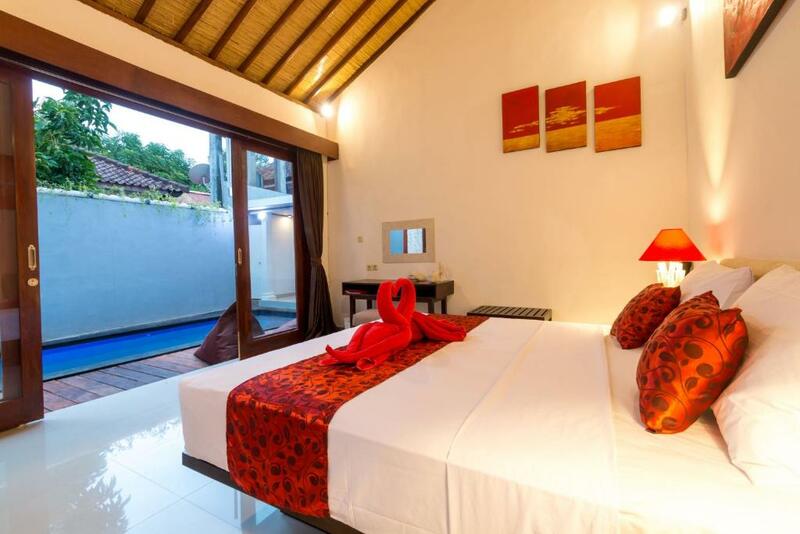 This villa has a cable TV, minibar and air conditioning. Little Coco is a cosy cocoon, located in a quiet area of Gili Trawangan, just a five minutes walk to the main strip and the beach, 10 minutes from the harbour. 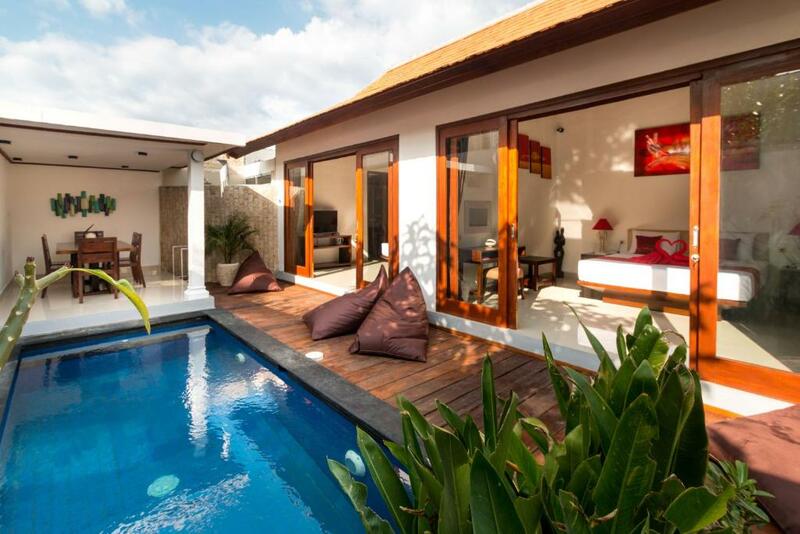 We offer the choice of two luxury villas with private pool and 6 lovely wooden bungalows. This truly special island is the perfect place to relax with no cars or motor bikes to interrupt this amazing island experience. House rules Little Coco Gili Trawangan Villas takes special requests - add in the next step! Little Coco Gili Trawangan Villas accepts these cards and reserves the right to temporarily hold an amount prior to arrival. 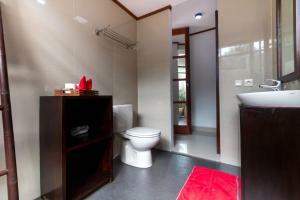 Please inform Little Coco Gili Trawangan Villas in advance of your expected arrival time. You can use the Special Requests box when booking, or contact the property directly with the contact details provided in your confirmation. Wifi doesnt work well. The villa is near to a mosque and they have big speakers. At 5am they put a record (i think) and we cant sleep. The water flow from shower was too little. The chlorine in the pool is too strong. The breakfast always late but it was OK for us because we were not in hurry. 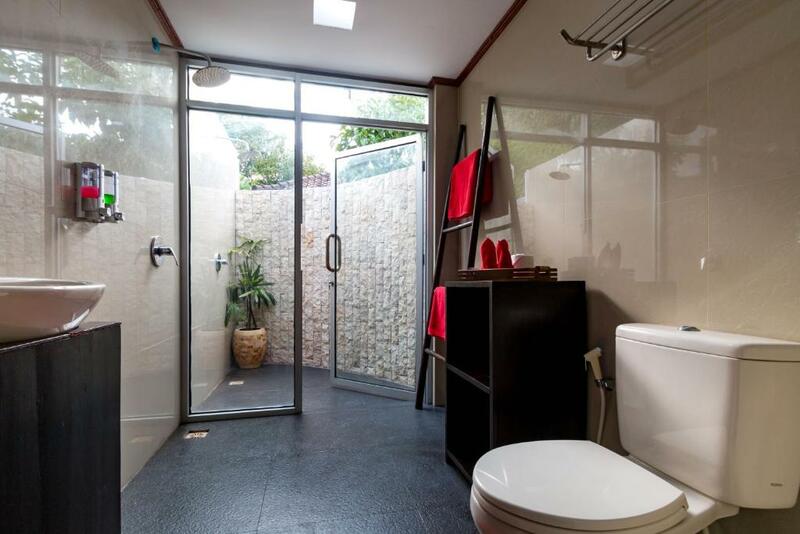 My suggestion to the lady there who take care the villa : please do not use the shower towel to mop the floor even though you will wash the towel but still that is not appropriate. 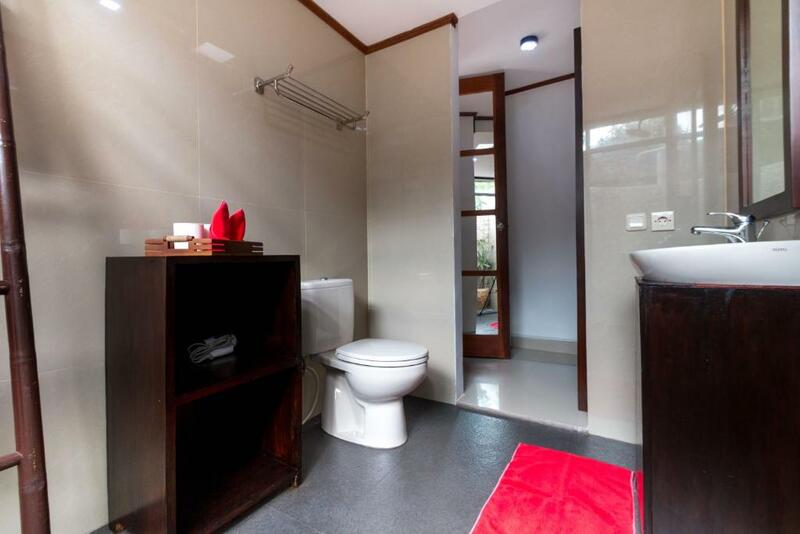 Nice villa, nice room, nice bathroom, nice staff. There was a small leak on ceiling and didn’t really get sun in the garden. The only negative was the mosque being so loud woke us up throughout the night. However we would recommend this villa to anyone, just bringing a pair of earplugs as it’s the same across the whole of the island. The villa was amazing, perfect for two couples. All the staff for more than accommodating and made sure we were always comfortable. We weren’t leaving until 3pm and they kindly organised late check out for us which helped a lot. I wish we stayed longer. Thank you little coco !!!! Quick and easy check in. The staff are super polite and always happy. Great breakfast and rooms always clean.